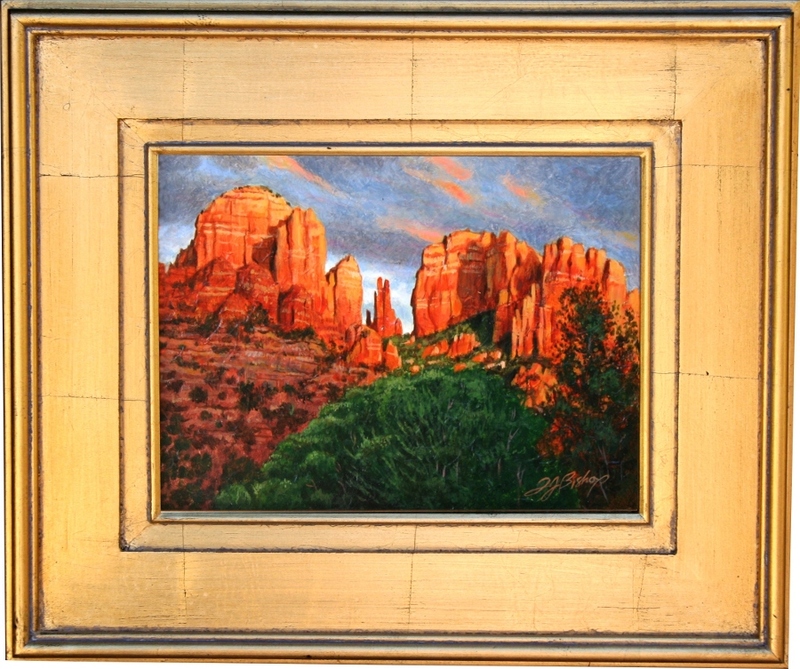 One of the more famous formations found within the red rocks of Sedona is one called Cathedral Rock. 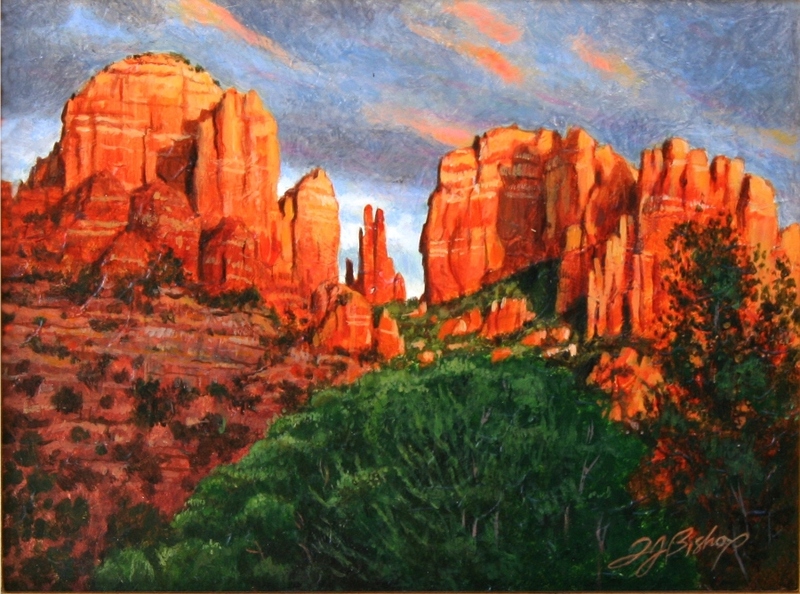 It’s found about 2.5 miles south of Sedona off of State Route 179 and has a vertical elevation of some 4921 feet… A favorite of tourists, photographers and artists alike you’ll always find cars and hikers near the trail head that leads to the formation, regardless of weather or time of year. For me, like so many other artists, Plein Air painting is the purest form of instant art gratification, wherein a painting can be accomplished within a matter minutes and hours opposed to weeks and weeks of working on a single piece. That being said each approach has its own place in my mind and world… So, from time to time I’ll take a break from larger pieces and work on a few “quicker” studies such as, Cathedral Rock….I find it allows me to recharge my batteries and still stay productive at the same time….